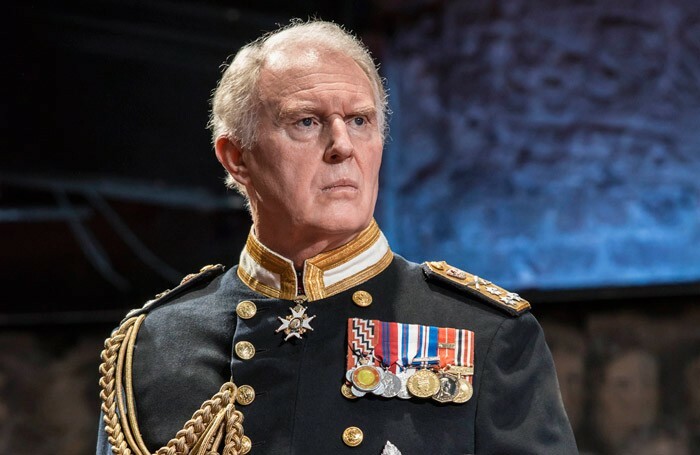 Tim Pigott-Smith is to reprise the title role in King Charles III on Broadway, as the show’s producers confirm details of its transfer. Mike Bartlett’s drama – which yesterday was crowned best new play at the Olivier Awards 2015 – will preview from October 10 at the Music Box Theatre, before an opening night on November 1. No closing date has been set. Directed by Rupert Goold, the play is produced on Broadway by Sonia Friedman and Stuart Thompson. Speaking to The Stage at the Olivier Awards, Pigott-Smith said he did not believe there was a better play that had premiered in the last year. “And hopefully we’ll do okay on Broadway – you never know with New York,” he added. Friedman told The Stage in January she was transferring the play to New York. Further casting and creatives are yet to be announced, though it is expected Katie Brayben, who played Diana, will not return to the production due to her current role in Beautiful – The Carole King Musical.